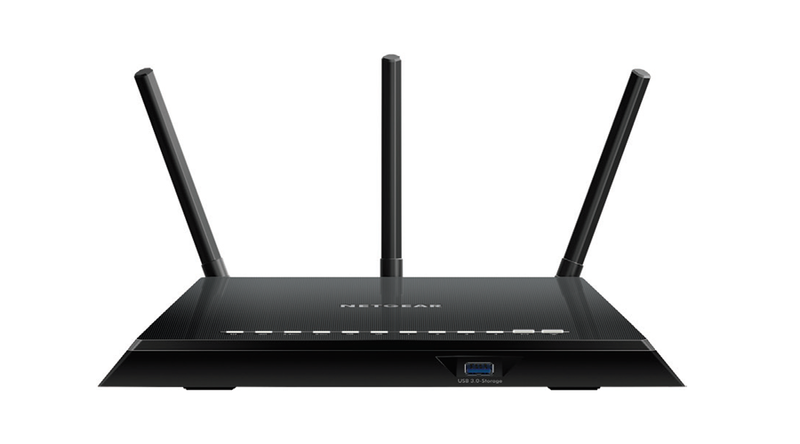 The NETGEAR AC1750 Smart WiFi Router with external antennas delivers extremely fast WiFi. With AC1750 WiFi, Gigabit Ethernet speeds, and high-power external antennas, this router offers ultimate performance in wireless coverage for large homes with 12 or more wireless devices. It gets 3x faster access than similar 802.11n technology and more reliable streaming for home computers and WiFi mobile devices. ReadyCLOUD USB Access-Enjoy personal & secure cloud access to USB storage connected to your Nighthawk WiFi Router anytime, anywhere.